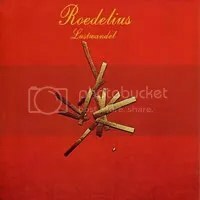 Roedelius is one of the pivotal forces behind krautrock icons Cluster and collaborated with Brian Eno for a series of classic albums, but his solo work is a much more delicate piece of china compared to the robotic psych of his earlier works. Sometimes it reminds me a bit of Vangelis and I have images of me running in slow motion towards a hoagie and a bag of hot chips to the soundtrack of Chariots of Fire. However, a better comparison would be a more stoned Wendy Carlos during the more melancholy moments of the Clockwork Orange soundtrack. In reality, it is kind of its own bag of chips since his work transcends both Carlos and Vangelis’ entire catalogue of work. I love this album because it is so tender and fragile. It is a masterpiece of small gestures and restraint. You could lump it into the new age scene if you didn’t listen closely enough. His piano playing is so evocative and bittersweet and always takes me back to blue moments in life, not in a depressing way, but a meditative one. That’s a quality I cannot apply to many albums in my life. It is so close to elevator music, but it devastates me each time. When you are lulled back into a regressive state, some oddball element like the pagan “Wicker man” vibe of “Wilkommen” pops up to shake you out of your reveries to examine this album more closely. I am still trying to figure this one out. It is so inoffensive, but possessed a power to whisk me off to other places in my mind.